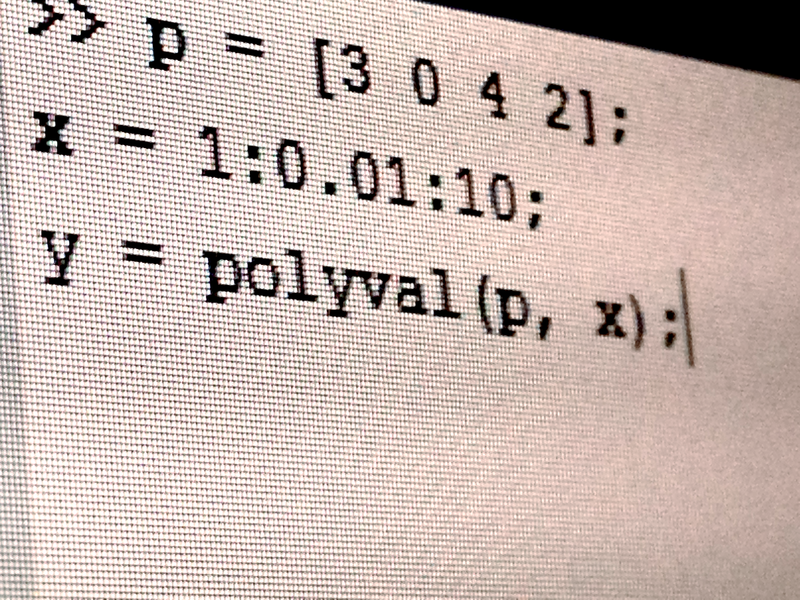 One of the easiest and most useful tools in Matlab is polyval, a very nice function that evaluates a polynomial function given its parameters and the range to evaluate… huh? All right, all right, we wanna be clear here, right? and we would like to represent it in Matlab like that. Well, we cannot just write it like that. Remember Matlab is a numerical computation programm, which means, that it won’t compute any symbol. So forget it if you wanna computate something writting letters. Matlabs wants only numbers. You might put names to the variables, but still, Matlab computes only with numbers.